Though as it’s the weekend it might not be updated yet. Nigel it was grimmer than up north much,much grimmer. Well on the ULEZ vehicle check your bike is still showing as needing to pay the charge, so I don't think anyone should take this as granted. Also, all you've done is exempt your own vehicle, this doesn't automatically exempt all REX's. This is one of the issue's MAG has been raising, that many bikers will be continued to be charged when it's already been shown by someone else that a certain bike meets the emissions. Their system is a complete mess over this unfortunately. It’s very slow and hasn’t been set up well they hope people will just pay. did you try a older Rex Nigel? 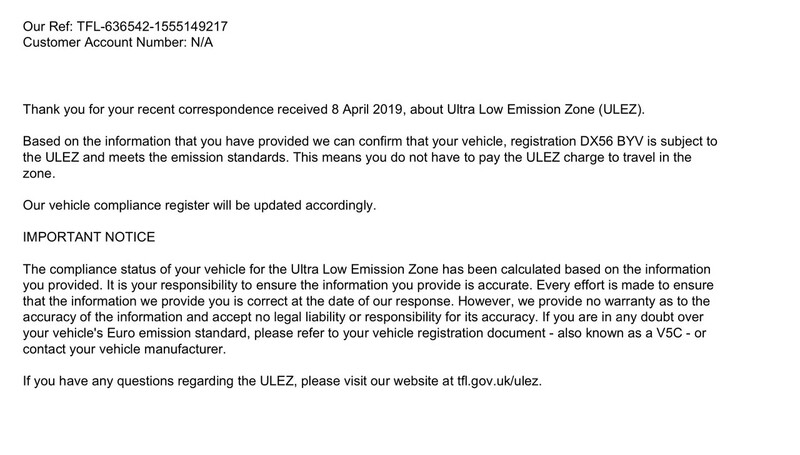 Hmmm that's weird, I just tried again and it's still saying you need to pay - its says ULEZ charge applies but you're fine for the LEZ.